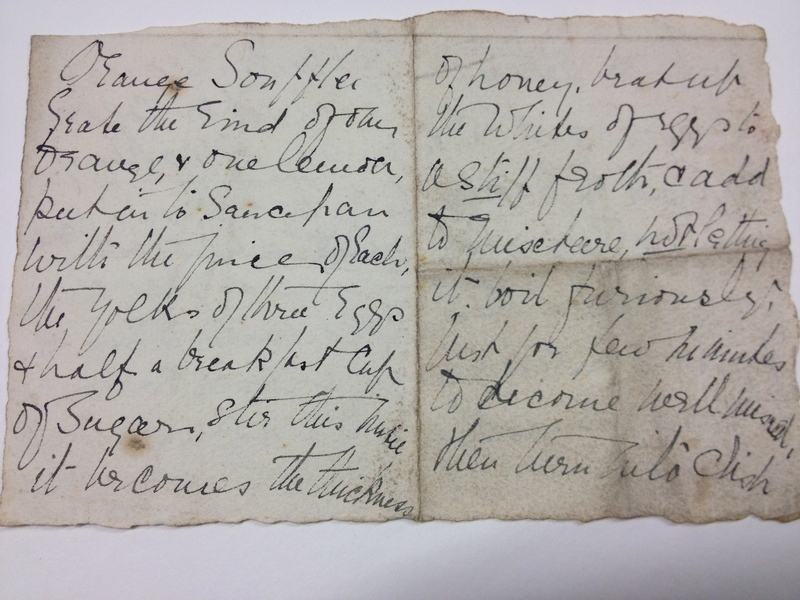 This past February, I traveled to Mansfield’s birth city from London as part of my PhD research and got a firsthand look at some fascinating manuscripts (many thanks to Birkbeck for their help toward extraordinary research expenses, as well as to the Alexander Turnbull for letting us reproduce the recipe here and their kind staff who were of great help during my stay). 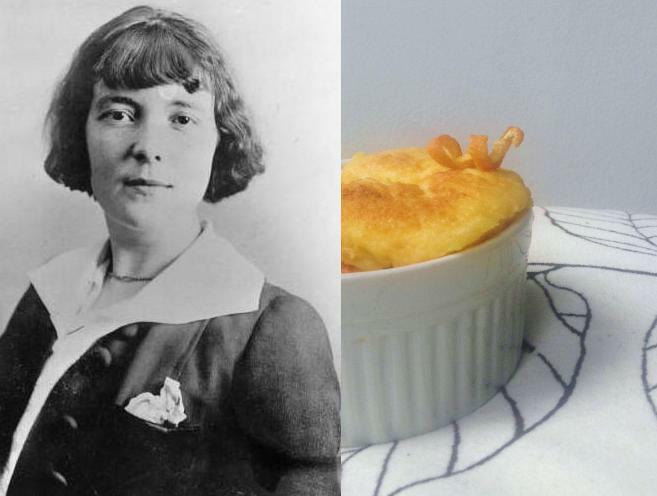 Besides the rhymes that Mansfield penned amid her account books, and her food shopping lists composed in between fiction, I also saw as yet unpublished documents, handwritten recipes for coldwater scones and orange soufflé. The latter combines a riotous opposition of tastes (sour citrus and sweet) and textures (feather-light foam and sherry-soaked stodge) in much the same way as Mansfield’s writing captured life in all its multifarious, ornery complexity. The recipe “translation” for the soufflé below is my own (Mansfield’s handwriting is notoriously difficult to fathom) but the cooking, thankfully, is Nicole’s. Grate the rind of one orange, & one lemon, put into saucepan with the juice of each, the yolks of three eggs & half a breakfast cup of sugar, stir this until it becomes the thickness of honey, beat up the whites of eggs to a stiff froth, & add to juice base, not letting it boil furiously, just for a few minutes to become well mixed then turn into dish with or without spoon[,] cake at bottom, sopped in sherry wine & … jam, under these final conditions it would be called a party pudding! 1. Preheat oven to 375°F. Grease and flour 4 8 ounce size ramekins and set aside. 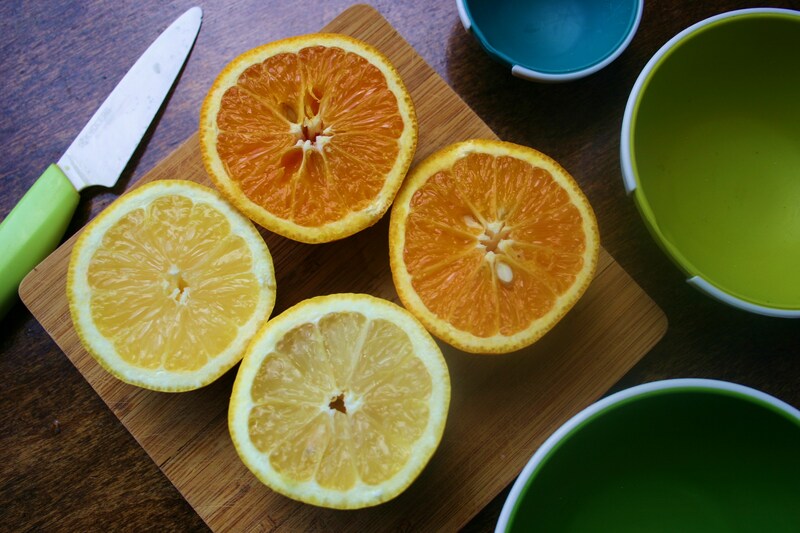 Reserve 1 tablespoon of zest from the orange and lemon, then juice them both in a small bowl. 2. In a large saucepan over medium heat, combine milk, 2 tablespoons sugar and the zest, whisking until milk reaches a boil. Remove from heat, then whisk in butter and juice until butter is melted. Whisk in egg yolks, one at a time. 3. With an electric mixer, beat egg whites and salt in a large bowl until soft peaks form, then gradually add remaining 2 tablespoons sugar to stiff peaks. Gently fold whites into the orange cream until incorporated, then divide among 4 ramekins. Bake 20 minutes until tops are puffed and golden. 4. While soufflés are baking, make the sherry syrup: In a small saucepan over medium heat, whisk together sherry and sugar until sugar is dissolved. Let simmer 4 to 5 minutes, until thick enough to coat the back of a spoon. 5. Drizzle syrup lightly over soufflés. Serve immediately. Ooh, Bastille Day – a great reason to celebrate. Have some champagne for me! A lovely combination of two passions here . Nice one! Many thanks to Aimee for discovering it! Another lovely recipe! What’s the focus of your PhD research? Hi Emily, my project is all about modernist short fiction & reading & everyday practices. So I’ve a chapter on Mansfield & snacks, & will also be looking at Virginia Woolf & the furniture in her stories, & Kay Boyle & clothes. My friend pointed out that I was just researching all my favourite things, & she might be right! But that’s a very happy coincidence. I so enjoy reading your posts. makes my day. Thanks so much for reading, Anita! Hope you enjoy it, if you try it out! One of the best parts of these old, handwritten recipes is trying to figure out exactly how to work it out for our kitchens today. This was a tough one! Orange is just so dang refreshing. I need to bake with it more often because I just love the flavors in desserts…when done properly. That souffle looks great! Thanks, Jenn! Baking is hard right now because it is so darn hot! So I definitely am in need of some refreshment afterward – this does the trick! Do you remember trying this recipe Aimee at the reception at the ATL? Delicious! Hi Gerri – thank you and no – I didn’t get a taste, which is why I need to make this. Glad it was tasty!